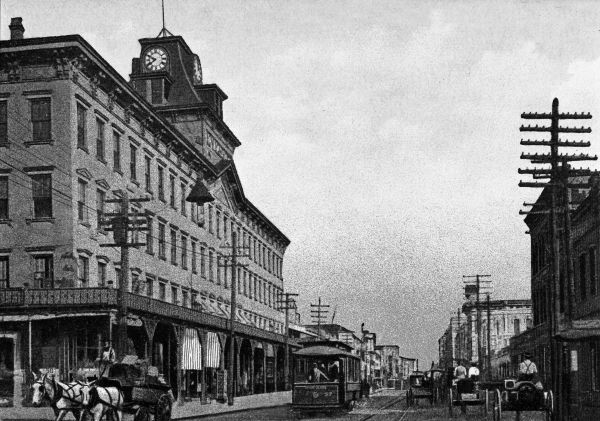 Before sprawl took over the city, everything was basically located downtown, including hotels. 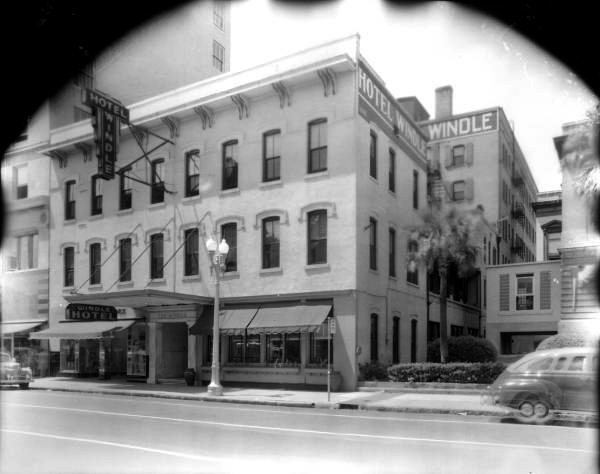 Like everything else, from the early 20th century, most of downtown's hotels have be demolished and replace with more modern buildings (like The Seminole Hotel) or are now just empty surface parking lots (The George Washington). 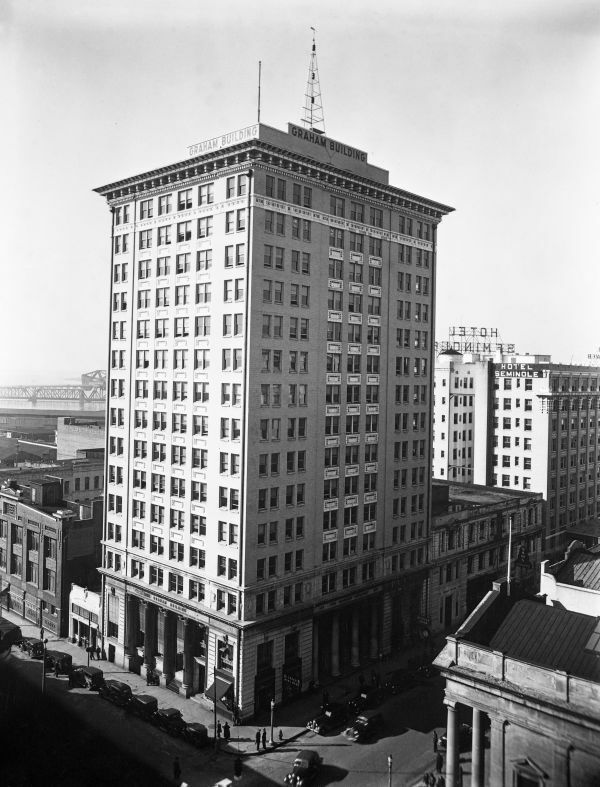 Today, the Carlington, is the last remaining large scale hotel building in downtown. Enjoy the pics and have a happy Thanksgiving. 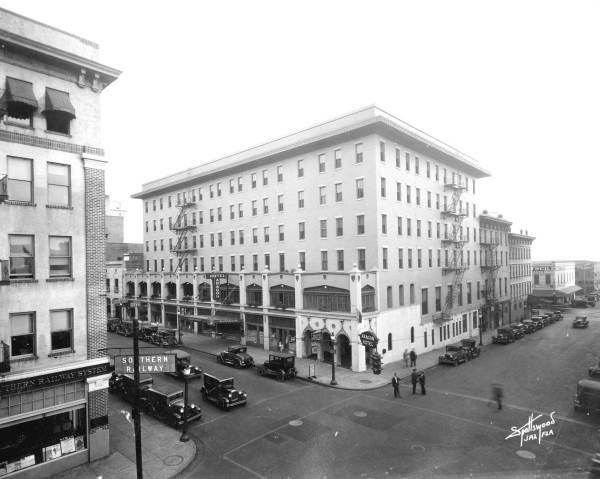 Hotel Mason in 1950 (NW corner of Julia & Bay Streets). Present day BellSouth Tower. 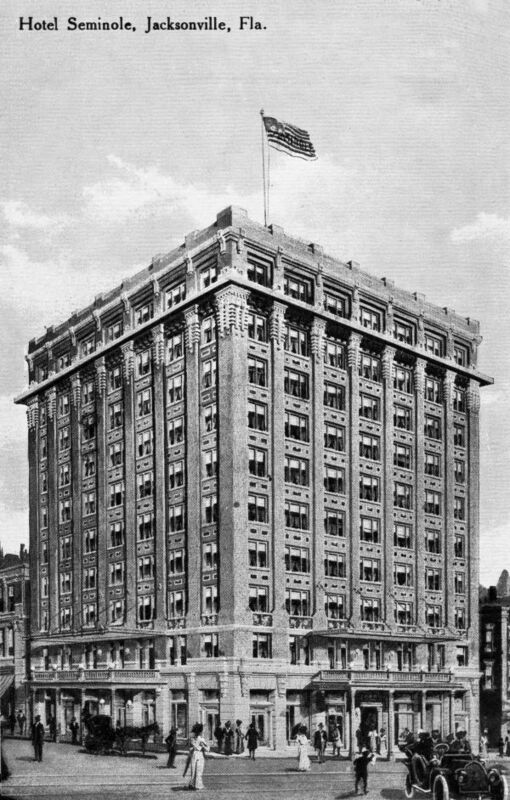 George Washington Hotel (NW corner of Adams and Hogan Streets). The George Washington Hotel is by far my favorite! I love that arcade thing it had facing the street. 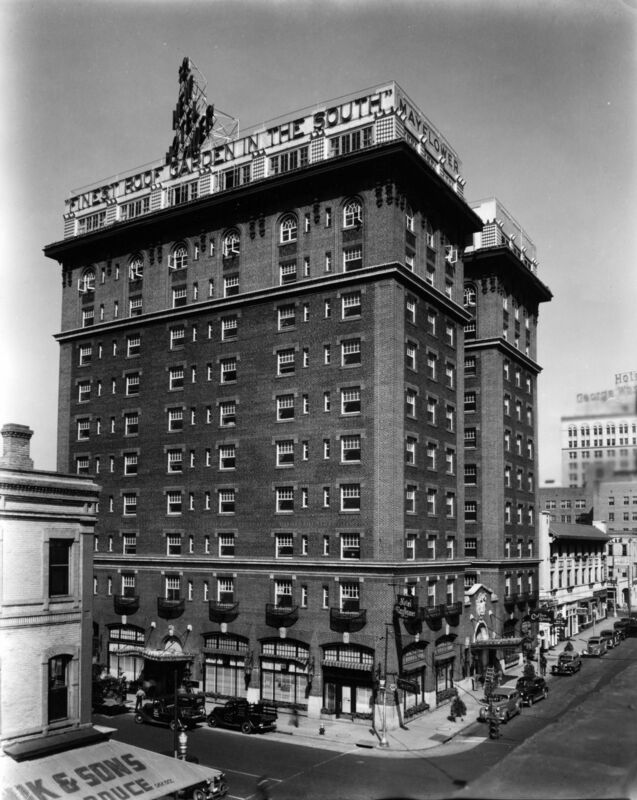 The only hotel I'm glad to see gone is the Robert Meyer. It just wasn't that attractive, and that parking lot didn't help, lol. Great post, Lakelander, and have a Happy Thanksgiving as well! I agree with you. The George Washington Hotel was awesome. It is a shame how much we lost to fire and demolition. That would have been awesome in downtown. 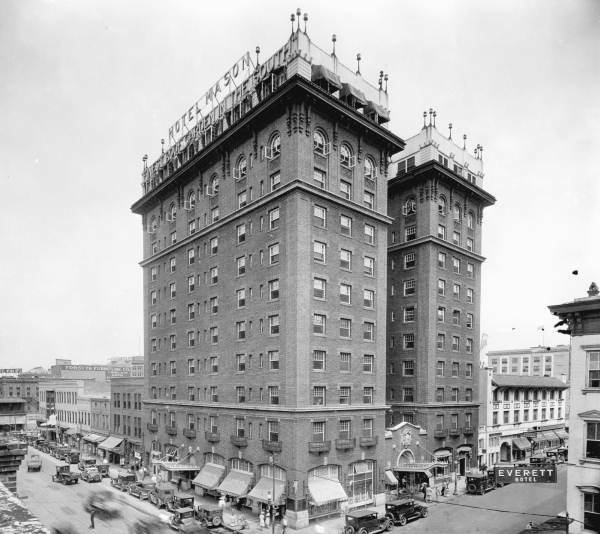 I agree that these are some wonderful examples of architecture of the early part of the 20th century, oh, and by the way>>>> so is the Robert Mayer. it just seems that anything modern in jacksonville find itself the same way of Rodney Dangerfiled... "no respect". the Robert Mayer was probably one of Jacksonville's finest example of the International Style. 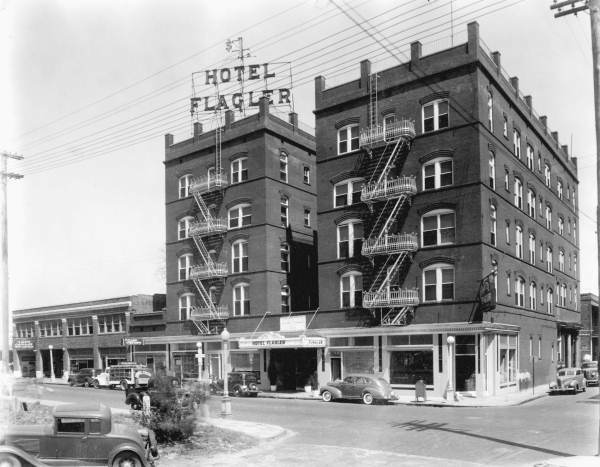 It was Jacksonville's "Fountainbleau"... we seem to have an itchy trigger finger when i comes to modernity in this city, while other cities embrace the future, we are terrified of anything new and challenging? Don't get me wrong, i am for 'historic preservation'. that is when it is worhty of it... let's not risk the future to preserve something simply because it is OLD! That is true but what happens when there are no buildings left of our historical past. 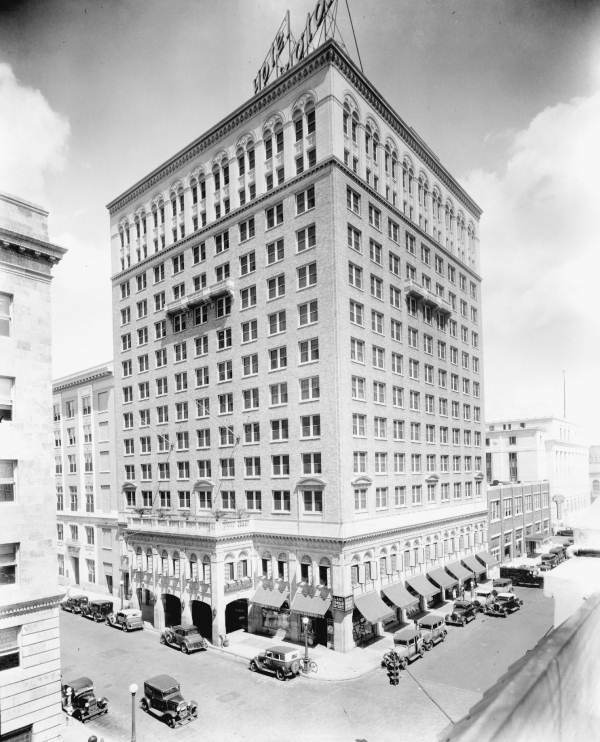 I feel that Jacksonville should preserve the best buildins and the rest should be redone and changed to become more modern. Jacksonville has so many empty lots that can be used to embrace modernism without destroying buildings that mean so much to our past. 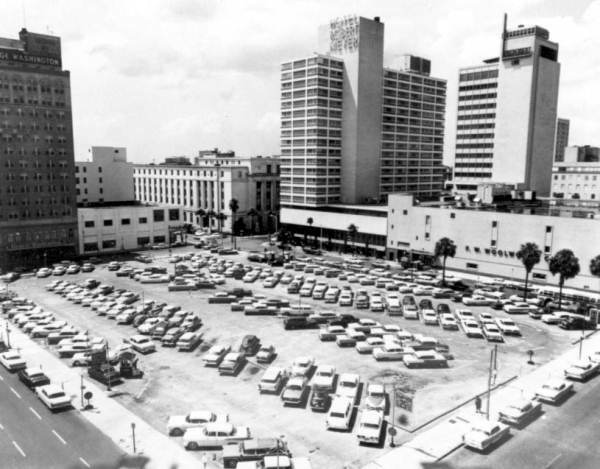 yes, there are many empty lots in downtown jacksonville (soon to be home to many a parking garage) and i agree that could hold wonderful opportunities for a new architecture here, will that happen?... only time will tell>>> and we all have our fingers crossed>>> but i am not holding my breath!! you definitely shouldn't hold your breath crazy cuabn, especially not in this city. Time is an enemy to the breath around here. I agree that we need to save and preserve some out history's tidbits, however the last thing this city needs is to become an antique show. Old is not always good and on the same token, new is not always bad. We definitely need to infuse our downtown and surrounding with ne architecture. Architecture that builds on it's past and pushes the future. Jacksonville has such a wonderful resource - the river, however most of the building fronting it aren't worth looking at. Also, take the CSX new curtainwall for example, that building was a great period building and a nice peice of architecture. But by adding the curtainwall too it, it really lost a lot of its charm. The least they could have donw was use some green curtainwall or something in a similar vain to the original. I am off of the topic now, but I agree need more new and need to be decisive and a little more discriminate about what gets saved/preserved.